CLICK ON THE IMAGE to view further details or to purchase our Ear Defenders. 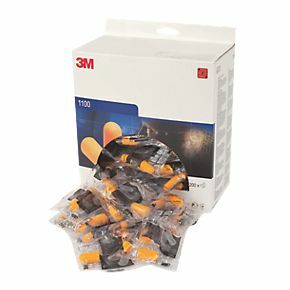 Disposable 3M 1100 Uncorded Earplugs (Box 200 Pairs)Supplied in boxes of 200 these soft hypoallergenic foam Ear Plugs offers maximum wearer comfort, tapered shaped smooth surface plugs, fits most ear canals and helps protect against unwanted dirt, noise attenuation: 37dB (SNR) and other foreign bodies from entering the ear canal. Manufactured to EN352-2 standards. Soft, hypo-allergenic polyurethane foam with smooth, dirt resistant surface offers maximum wearer comfort. The tapered design fits most ear canals. 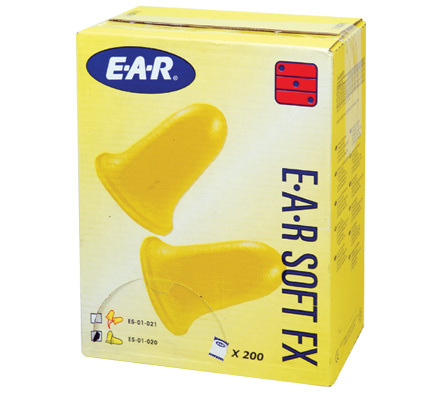 Superior ear protection for only £14.86 for 100 pairs. 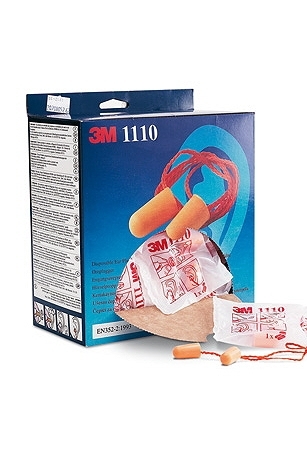 Disposable 3M 1100 Uncorded Hearing Protection Ear Plugs. 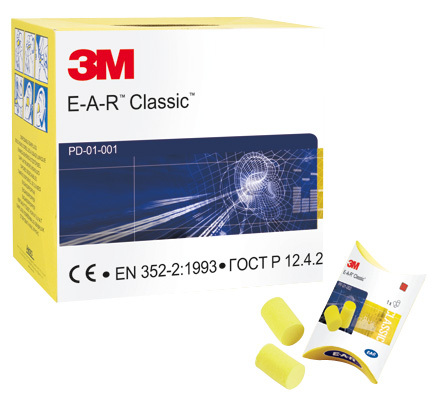 Soft hypoallergenic foam ear plugs from 3M that offer total wearer comfort, tapered shaped smooth surface plugs, fits most ear canals and helps protect your ear canal against unwanted dirt and other foreign bodies. Manufactured to EN352-2 standards, noise attenuation: 37dB (SNR). Manufactured in PU polyurethane foam flanged shape assists ease of insertion. Smooth tapered finish enhances wearer comfort. Extremely high attenuation at 39dB. 200 pairs of extremely high quality ear plugs for only £42.98! Manufactured in PU polyurethane foam flanged shape assists ease of insertion. Smooth tapered finish enhances wearer comfort. Extremely high attenuation at 39dB. Offering great noise protection for a super-saving £20.49 for a box of 200! Manufactured in PU polyurethane foam designed to provide the ultimate in comfort and protection. Superbly priced at an all-time-low of just £34.03! 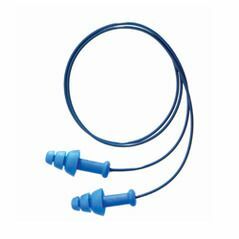 Featuring all the benefits of the Classic Earplugs, with the addition of an easy-to-see blue vinyl cord. Particularly suitable for use in food manufacturing and process industries. Top-class ear plugs for a budget price of just £49.54! 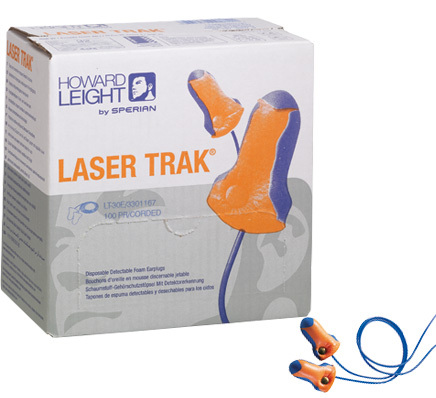 Made from a soft energy absorbing polymer foam which provides excellent hearing protection and all-day comfort. Available to order now for our online best of £21.42! Insertion stem ensures quick and easy fitting with no roll down. Optimal protection at 38dB. Soft pliable foam body offers maximum comfort and seal. Incredible value for money at only £36.15 for a box of 100! Insertion stem ensures quick and easy fitting with no roll down. Optimal protection at 38dB. Soft pliable foam body offers maximum comfort and seal. 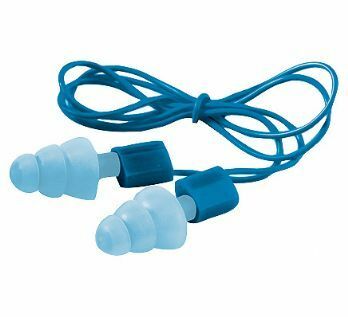 100 top-class ear plugs for a ultra-low £19.44! For occasions when the convenience and the permanence of a pre-moulded earplug is more suitable for your requirements. Made from flexible materials that are preformed to fit the ear. This reusable plug is comfortable, hygienic and economical as it can be washed. Just £50.64! Manufactured in PU polyurethane foam designed to provide the ultimate in comfort and protection. Immense savings on market-leading ear plugs from SSD! These are just £21.79! 50 Spare Caps. Available now for a budget-balancing £31.74 only from SSD! PD-01-001. 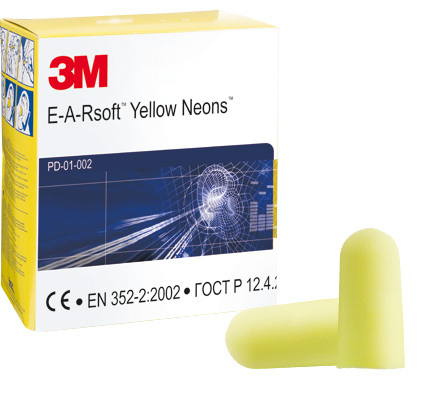 For Use with the 3M EAR One Touch Dispenser - Conforms to EN 352. Maximum hearing protection for minimal prices! Just £40.82 for 500 pairs! PD-01-02. 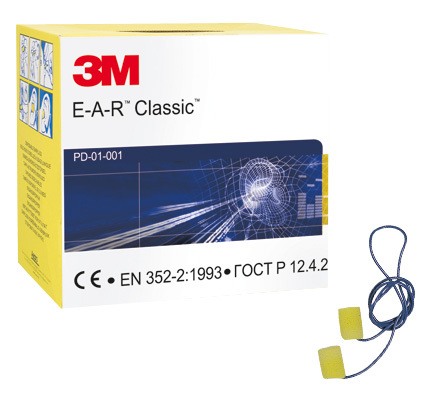 For Use with the 3M EAR One Touch Dispenser - Conforms to EN 352. Order the whole workforces ear protection for just £38.42! 500 Pairs! PD-01-000 Wall mounted or free standing. Easy twist action (left of right handed). Compact design, minimal packaging. Visible stock level (through clear refill bottle). 500 pairs of plugs per refill bottle (sold separately). Priced with businesses on a budget in mind at only £59.00! For higher noise levels (up to 93db) the ultrafit provides that little bit of extra attenuation. Correctly matched to the noise level, it allows conversation and background music to be heard whilst protecting the user from hearing loss. Low attenuating, ideal for use in the food manufacturing industry or anywhere contamination needs to be considered. Includes a non-ferrous filter and has a fully metalised detectable cord. 50 Pairs of top quality ear plugs for only £90.85! The patented triple flange design conforms easily to the ear canal to give a comfortable, consistent fit and protection. E.A.R Tracers offer all the benefits of UltraFit whilst also being metal detectable. The 2.75mm steel ball is securely positioned in the stem of the plug. All the advantages of the E.A.RSOFT with the added benefit of the detectable cord and integral stainlesssteel ball. Ideal for use in food manufacturing businesses. Order yours TODAY for only £97.10! 1013047 - For use with LS400 dispenser. Get yours from SSD NOW for a tiny £14.73! For use with LS500 dispenser. Ultra-low cost of only £40.61. 3301105 Self adjusting foam expands to fit virtually every wearer. Contoured T-shape for easy insertion & wear. Vibrant colours make protection visible. Extensive hearing protection for only £17.16! 1028700 Self adjusting foam expands to fit virtually every wearer. Contoured T-shape for easy insertion & wear. Vibrant colours make protection visible. Offering great noise retention for a mini cost of £20.15! Ideal for use in hygiene sensitive manufacturing environments. Bright Orange/Blue with non-ferrous metal safety component that can be traced visually or by metal detection devices. Corded for extra safety, they are comfortable and economical. Superb protection and landing at only £38.29 for 100 pairs! 3301165 For use with LS500 dispenser. Grab a bargain today at just £43.86! For use with the LS 400 dispenser. Budget prices on top quality ear protection with SSD, order these plugs now for just £16.27! 100 Pairs. Designed for improved fit & attenuation. Available to order now for just £22.26 from SSD! Designed for improved fit & attenuation. Incredible ear protection for as little as £18.93 for 200 pairs! 1028457 Patented "no-roll" design is easy to handle and fit. Contoured shape comfortably matches contours of the ear canal. Smooth, non-irritating skin provides all-day comfort, easy to clean for long-term use. Built-in insertion stem. Our budget-balancing price of just £23.97! Utilises advanced materials that respond to body heat to adapt to the shape of the users ear canal resulting in a custom fit which actually improves the longer it is worn. This increases user acceptance and compliance. All for a minimal £52.34! This SmartFit Corded Reusable Ear Plug uses the wearers own body heat to mould and conform to the individual shape of the ear, providing long lasting comfort and a more effective seal. Amazing value at a ultra-low £65.56! eye catching design encourages use. Converts to either wall mounted or free standing. Dispenses MAX2 & LASER LITE REFILL PACKS. One of the best prices online at a fractional £13.39! LS500 Foam Ear Plug Dispenser. Fully transparent eye catching design encourages use. Converts to either wall mounted or free standing. Dispenses MAX2 & LASER LITE REFILL PACKS. One of the lightest semi-aural devices available. Caps provide day-long hearing protection against workers exposed to noise. Ideal as disposable protectors for visitors. Our lowest price of only £2.49! 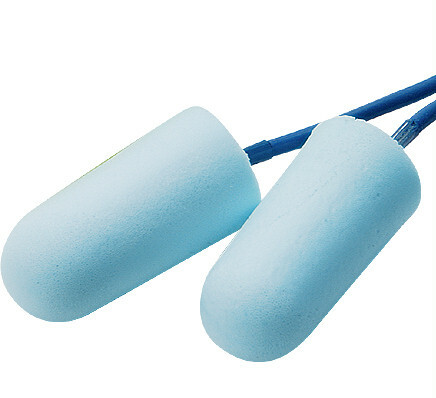 Banded ear plug with soft PU foam tips. 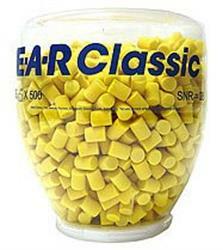 An impressively low £55.09 for these class-leading ear plugs. Thermoplastic reusable rubber ear plug for use in the food manufacturing industry. Impressive hearing protection for a highly competitive price of £164.38 for 200 pairs! Thermoplastic reusable rubber ear plug for use in the food manufacturing industry. Individually priced at only £1.99 each! Metal detectable, soft PU foam disposable ear plug for use in the food manufacturing industry. High level of attenuation. Ultra-low price of £63.45! 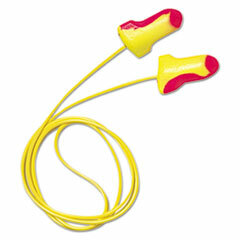 Thermoplastic reusable rubber ear plug that allows for easy insertion. High visibility colours allows for easy monitoring from a distance. Superior protection for mega-low prices. Just £86.14! These innovative earplugs adapt perfectly to the shape of the ear and feature a revolutionary design which imitates the anatomy of each ear. 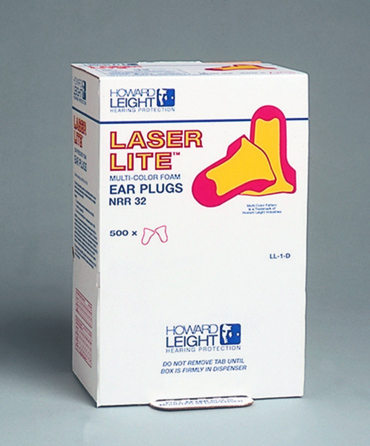 This noticeably reduces the pressure in the ear canal, even when worn for longer periods. Order yours now for an all-time-low of only £18.27! 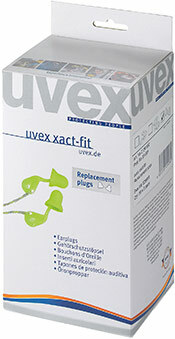 The uvex xact-fit corded ear plugs have oval, tapered, low pressure PU foam pods. 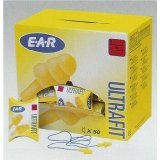 These fit the natural shape of the ear canal ensuring easy, comfortable and secure fitting. Incredible price of only £41.50! Hearing Protection Ear Defender provides all round and effective protection against excessive and potentially damaging noise. The perfect solution to your companies hearing protection and PPE needs. The range of Peltor X Series Ear Defenders from 3M heralds a new standard of design, comfort and protection. Built in conjunction with customers and with the wearer in mind, they combine lightweight comfort and modern styling with ground-breaking attenuation techniques. 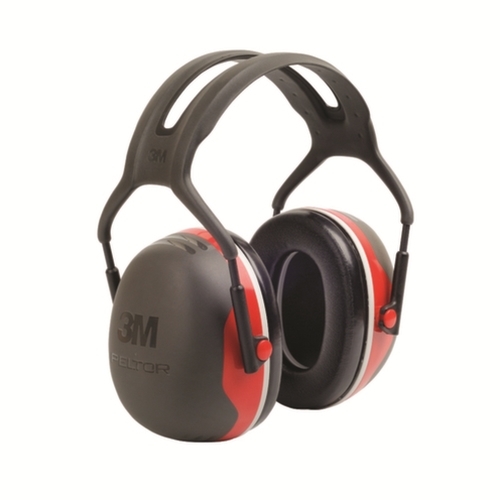 The 3M Peltor X2 Ear Defenders are designed to offer protection against moderate to high noise levels. For example, roadworks or construction. Unmissable value for money at only £17.06! 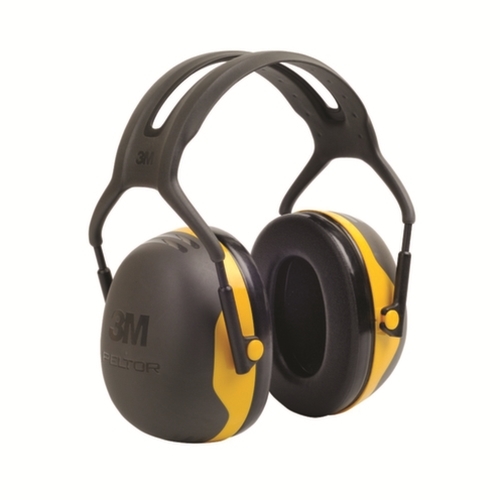 The 3M Peltor X3 Ear Defender X3A offers high attenuation (SNR 33dB) that protects the wearers hearing from raised noise levels such as those generated by forestry or heavy engineering. An innovatively designed spacer removes the need for a bulky double-cup construction. Unparalleled attenuation (SNR 37dB) as a result of an optimum combination of specially formulated foam technology and a newly designed spacer and cup.Despite the larger cups the product remains relatively lightweight with excellent balance and wearer comfort. 1011997 Patented Air Flow Control technology delivers optimal attenuation across all frequencies, without increasing earcup size or weight. A patented baseplate chamber and high-tech non-woven layer manage the flow of air inside the earmuff. Unmissable value at £14.37! 1030110 Sync stereo earmuff fitted with a 3.5mm input cable can plug into most MP3 players and other personal audio devices, to provide an exceptional listening experience and a proper level of hearing protection, SNR 31. Patented acoustic chamber. Sleek. Unbelievable price point of just £27.80! 1030330 Combines passive hearing protection with clean, crisp digital AM/FM radio and connectivity to listen to music through a personal listening device. Highly durable and effective ear muffs for only £66.72! 1010925 All day comfort with medium attenuation. Quick height adjustment that stays in position during use. Three position headband strap ensures better fit whether worn over -the head, behind - the - neck or under -the - chin. Order NOW for a spectacular £9.53! 1011170 3 position headband offers more wearing options and works with helmets, shields and other equipment. Super soft cushions deliver long wearing comfort. Dielectric design - safe for electrical working environments and headband strap allows multi-positioning. Good, effective protection across a wide range of noise frequencies with acoustic foam fill. Suitable in manufacturing industries, agriculture, construction sites, food industry and engineering. In stock and ready to order for a exceedingly low £7.66! Maximum protection against noise levels. Especially suited to low frequencies e.g. airports, engine test bays and drilling. Comfort deep padded cushions and adjustable fit. Folding headband for pocket size convenience. A super-low online price of £10.59 for these superior quality and highly durable ear muffs. Designed for all day comfort with self aligning ear cups to ensure perfect fit and a high SNR which provides excellent attenuation against intense noises at high volumes. Suitable for use in heavy industry such as mining, excavation, forestry, construction and for use with heavy machinery. Conforms to EN 352-1 H=29 M=23 L=15 SNR=25 Lightweight and comfortable. Acoustic foam fill. Suitable for where noise is a problem or nuisance rather than a hazard. We offer some of the best prices online on PPE, these are just £3.99! The 3M Peltor Optime I offers versatile protection and is very lightweight providing high wearer comfort. It combines a low profile with generous inner depth which makes it easy to combine with other equipment and allows the ear to rest comfortably. H520P3H to fit Centurion helmets. Durable and high quality ear muffs for a minuscule £15.16. H520P3E to fit JSP helmets using JSP International adaptor code 271305. Order yours today for a super-small £15.16 from SSD! Features optimum attenuation also at lower frequencies. Wide cushions provide optimum seal against the head. Ideal for agricultural use, mining, construction equipment, heavy industry and airports. Buy now for just £14.19! Features optimum attenuation also at lower frequencies. Wide cushions provide optimum seal against the head. Ideal for agricultural use, mining, construction equipment, heavy industry and airports. Landing at an unmissable £17.08! 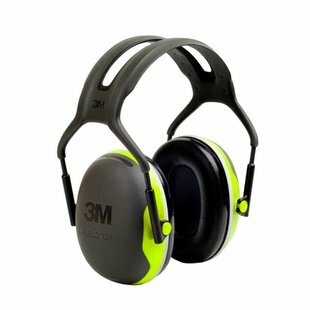 3M Peltor Optime III Ear Defenders offer high performance ear protection (SNR35dB) for use in extremely noisy environments. Protection is based on a twin cup technology that provides significant attenuation at both high and low sound frequencies. Offering maximum ear protection for minimal prices! Peltor Optime III Ear Defenders offer high performance ear protection for use in extremely noisy environments. Protection is based on a twin cup technology that provides significant attenuation at both high and low sound frequencies. Ready for you to order now for only £17.73! Boasting some of the BEST and CHEAPEST PPE online, our Hearing Protection section has only the highest quality products to ensure your hearing isn't affected by your day-to-day work. Our range has EN352 Regulation abiding products!